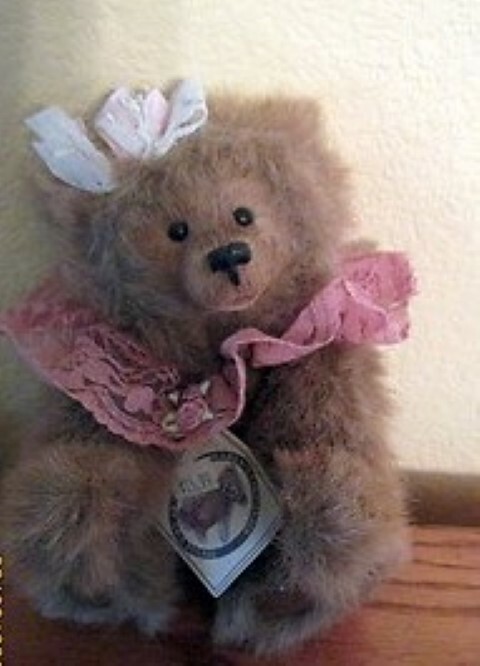 Sara-Ann - Kimbearly's Originals Bear. What an irresistible little lady. 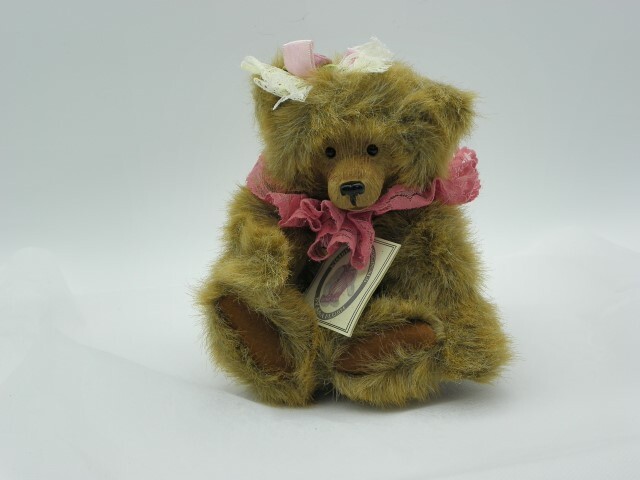 She wears a mauve lace collar that is accented with matching satin roses. 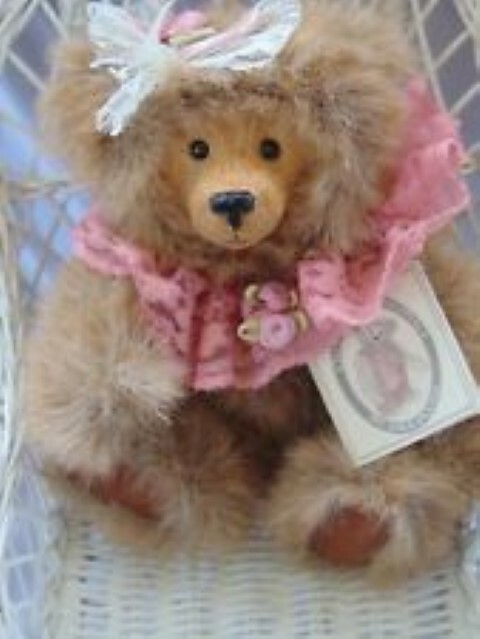 Her lace and satin ribbon, with satin roses atop, rests daintily on her head.